Tibetan Identity evolved over centuries in response to Natural Conditions that impact human life. Since 1950, Communist China’s occupation and colonization of Tibet is transforming Tibetan Identity in numerous manners endangering both Nature and its denizens. Tibet may be best known for its bounty of ancient Buddhist monasteries and stark natural beauty—but it’s also blessed with a vast diversity of languages. The Tibetan Plateau is home to more than a dozen distinct local tongues, many of which come with their own elaborate character systems. Unfortunately, thanks to the growth of internet infrastructure and state-sponsored education, many of these lesser-spoken languages are now on the brink of extinction, says University of Melbourne anthropologist Gerald Roche. As part of ongoing research conducted by the Smithsonian Center for Folk life and Cultural Heritage on issues of language diversity and cultural sustainability, Roche delivered a presentation last Monday on Tibetan language and his research on its decline. 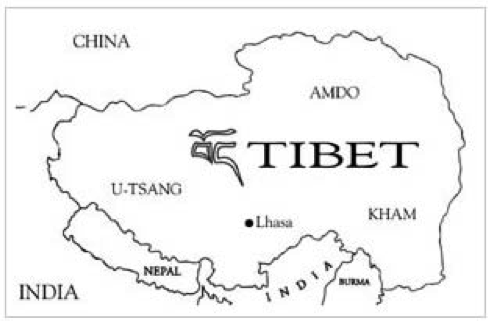 In a 2014 paper titled “The Vitality of Tibet’s Minority Languages in the 21st Century,” Roche notes that dozens of languages are spoken on the Plateau but that only “230,000 of the 6.2 million Tibetans in China do not speak Tibetan.” He finds that the minority languages in Tibet are generally spoken by very few people, while Tibetan is known to nearly everyone. From a language preservationist’s perspective, this is a precarious situation. The findings Roche laid out, which synthesized the work of several linguists with expertise in disparate areas of the Plateau, reveal the vibrant tapestry of language in Tibet while also highlighting its fragility. 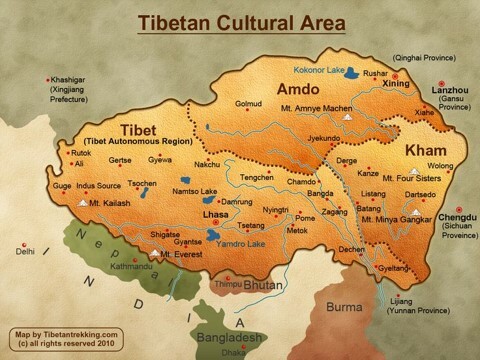 The danger of the minority languages of Tibet disappearing completely is not merely speculative. In 2014, the BBC reported that “over the past century alone, about 400 languages—one every three months—have gone extinct, and most linguists estimate that 50 percent of the world’s remaining 6,500 languages will be gone by the end of this century.” These languages are tied to the histories of peoples, and their loss serves to erase time-honored traditions , says Roche. 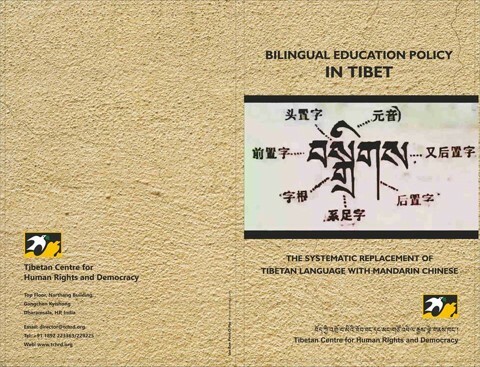 By the conservative assessment of the Chinese government, 14 languages beyond standardized Tibetan are spoken within Tibet—one language for each official ethnic minority region. A holistic survey of pertinent English-language academic literature, however, yields a much larger estimate. In a study published this May , Roche concludes that as many as 52 linguistically distinct languages may be spoken on the Plateau. In general, a language can be thought of as encompassing both grammatical elements and a lexicon of words. It may be spoken or written, and in the modern world is almost always both (though a few of the Tibetan minority languages Roche has studied were historically spoken only). Yet Roche says there is a strong case to be made that even “Tibetan” itself is, in actuality, not a single language—its three major branches, which locals call “dialects,” are not mutually intelligible when spoken, despite relying on the same written character. Even more striking are the differences between minority languages and Tibetan. Minority languages are also often dismissed within Tibet as bizarre “dialects,” but Roche notes that this is often tantamount to calling “Italian a dialect of Swedish.” These include what Roche terms “enclaved languages,” which are officially recognized by the Chinese government within narrow geographical limits in Tibet, “extraterritorial languages,” which are officially recognized only in locations outside of Tibet, and myriad “unrecognized languages,” whose existence is ignored by the Chinese establishment. 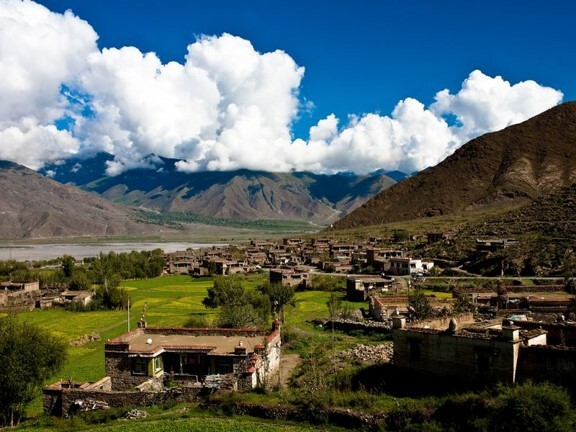 In his remarks, Roche homed in on a sample set of 21 languages spoken within Tibetan villages. A dozen of these are endangered, meaning they are steadily losing speakers. 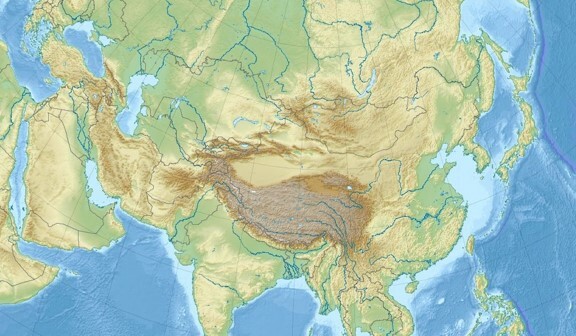 “The [speaker] population is declining,” Roche says, “and it’s declining because people are no longer speaking those languages to their children.” This is largely the result of pressures to rally behind standardized Tibetan as a source of Tibetan pride in response to the encroachment of Chinese beginning during the reign of Mao Zedong. Roche has personal experience with the Manikacha language, which is spoken by approximately 8,000 individuals across four villages in a valley on the northeastern Plateau. According to his unpublished survey data, roughly one third of are no longer transmitting the language to their children. He traces this back to the late 1950s, when Mao’s China began forcibly instructing the Manikacha speakers in standardized Tibetan. Even the Chairman’s famous Little Red Book was distributed in Tibetan. Andrew Frankel, a researcher at the University of Virginia’s Tibet Center who spent three years teaching English in the same general part of the Plateau, has firsthand experience with this sort of assimilation. Though several of his students were raised in homes that favored minority languages, in between classes the children would invariably speak Tibetan. The decision was a practical one: After all, most of their peers would not recognize Manikacha or the like. State schools tend to smooth over differences between communities and encourage allegiance to a single mother tongue, says Frankel. “Schooling has become ever more pervasive,” he says, a shift that in its earlier stages caused significant alarm in households whose primary language was not Tibetan. Even among families where standard Tibetan was spoken at home, many were skeptical of the pressures at school to communicate in Chinese. How, then, can we hope to preserve Tibet’s linguistic richness for future generations? For Roche, the answer lies in large part in the behavior of powerful international allies of the Tibetan people—including the United States. Our country’s stance towards Tibet emphasizes the preservation of standard Tibetan but fails to address the numerous other languages spoken on the Plateau, he says.